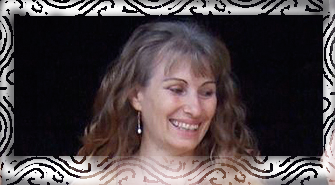 Sarita is a truly wonderful spiritual teacher, for me she embodies the very heart and spirit of Tantra. I experience a very clear transmission of this healing and sacred tradition when in her presence. I am in true ecstatic bliss. I AM HERE, and I am me, activated in my power and potential by Sarita’s work. I stand by the truth, love and wisdom of it and know it holds such strength and potency for all on the path of realising their God-self. I’d have missed a major turning point in my spiritual journey had I not come here and would have wandered in the corridors of uncertainty, confusion and frustration. My heartfelt prayers and love to all and I bow down to Sarita. As a rationalist I am astounded at the insights I have gained, both into myself on a practical level but also into a spiritual side of me, which I never suspected even existed. The results have enriched my life and relationship beyond all my imaginings.